Not literally of course, more of a detailed review by Matt Farah in this episode of One Take The Smoking Tire. Slotting between the Civic Sport and Type R, the new 2018 Honda Civic Si could be a winner. Powered by a tweaked version of the standard Civic’s turbocharged 1.5-liter four-cylinder, the Si can deliver 205 horsepower and 192 pound-feet of torque thanks to a 3.8 psi of boost. What’s more, the engine can be tuned for more power. Some may find the peak ranges a bit low with torque peaking at 2100 rpm and power at 5700 rpm, but the Si’s other features more than makes up for it. Perhaps hearing Jalopnik’s voices, the Civic Si only comes with a six-speed manual gearbox. It also has a limited slip differential, adaptive damper system and suspension, a button controlling the two-mode suspension system, and a plethora of creature comfort features. A great deal for just $24,000. Specs alone aren’t enough, so the Si has to deliver in road feel and it seems to be doing that in spades. Both the car’s steering and brakes are electronic, and yet both “talked” to him pretty well, allowing Matt to throw it around the twisty Swiss roads. 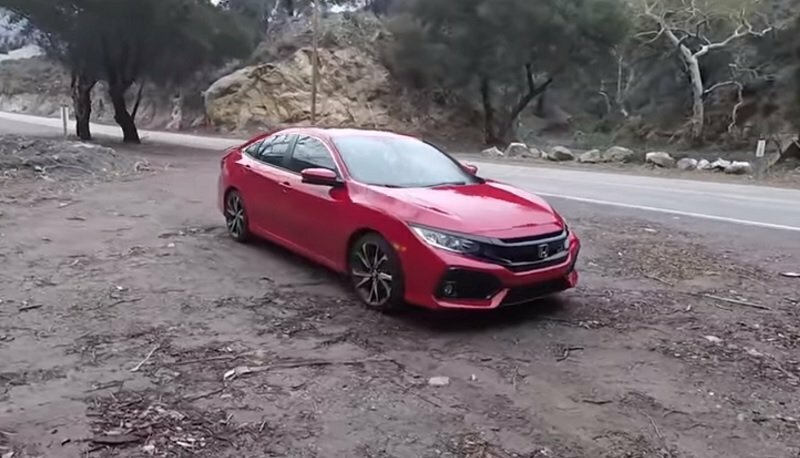 A great take on the 2018 Honda Civic Si if you have the time. does this damage the engine?